Engine serviced and new Alternator fitted 2019. Seadek replaced to cockpit 2017. All Seacocks (8) replaced 2018. No movement in the Keel, shot blasted and epoxy coated 2017. Hydraulic keel mechanism, with manual override. Hull jet washed, scraped and antifouled October 2018. Ashore for 2 months annually. New Tecsaw sprayhood, sail bag and cockpit enclosure 2018. Vetus Bow Thruster fitted 2012. Fire extinguishers x 4; 1x automatic in engine bay. The Southerly 115 is a well known and respected serious cruiser. They have plenty of space on deck and a versatile accommodation plan, including a spacious galley and saloon, fore-cabin and en-suite aft cabin. The swing keel provides a boat capable of offshore passages and inland navigation. These boats also have a safe and comfortable feel, with both a centre cockpit and alternative, interior helm position. 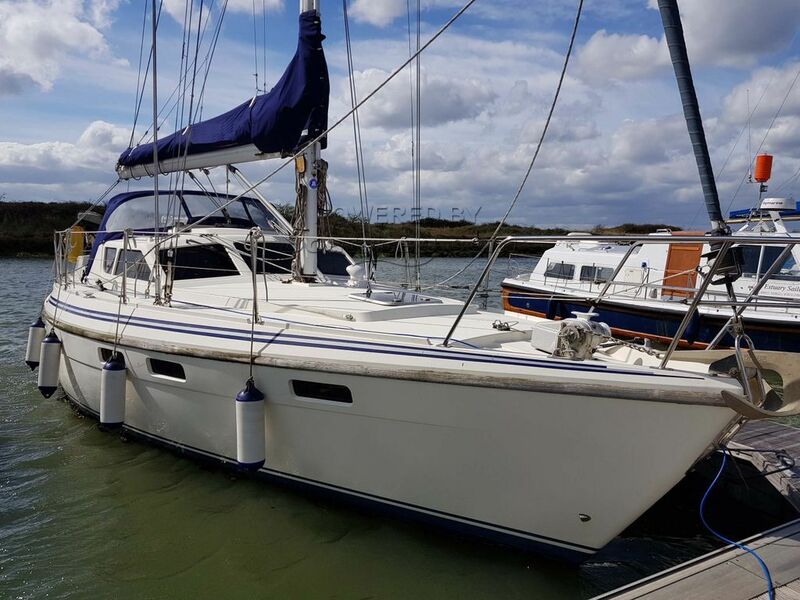 This version has been well maintained throughout its life, including by the current owner who has invested in numerous upgrades, including a recent sprayhood, stack-pack and replacement of through hull fittings. When I visited the boat, I was struck by its light and airy feel due to the number of hatches, windows and spacious accommodation. The boat is tidy, well kept and an attractive option for a range of potential uses, including extended cruising and live-aboard potential. This sale also has the potential to negotiate an additional 2.3m Zodiac inflatable dinghy and outboard. This Southerly 115 Mk II has been personally photographed and viewed by Jayne Markham of Boatshed Essex. Click here for contact details.